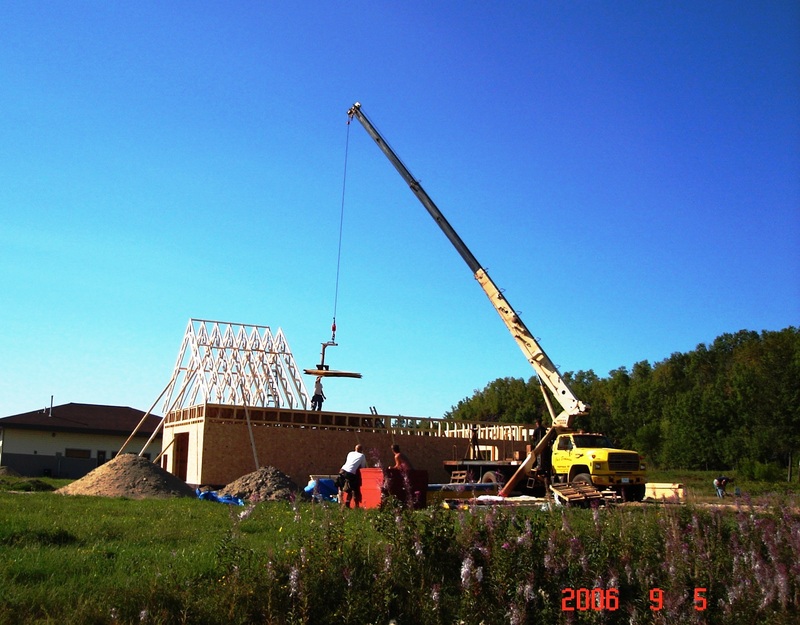 60 Ft. max boom hight. Crane has a max. 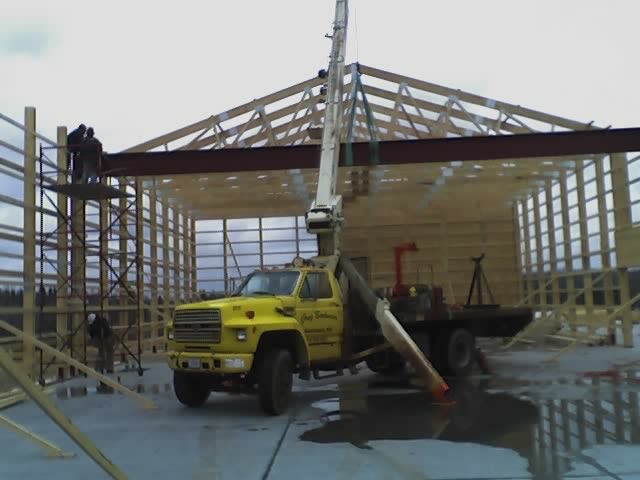 capasity of 25,000 lbs, (4-part line) but not practical with the center mount on this truck. 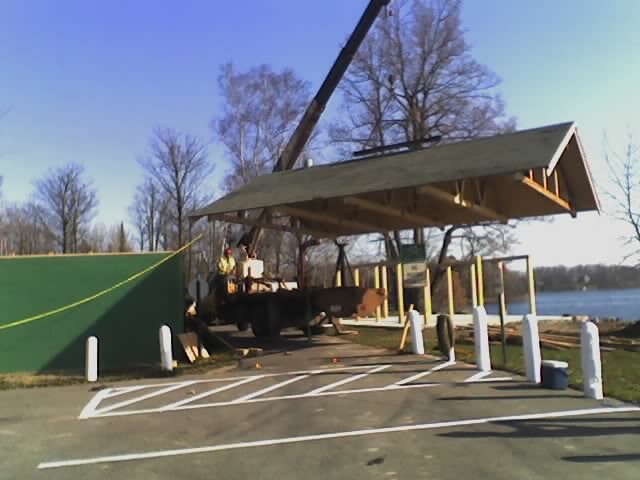 A roof is moved at the Tioga Beach Park.